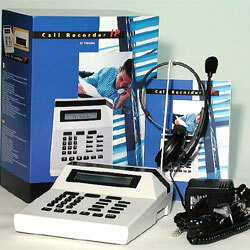 Records all calls automatically - up to a maximum of 2,600 hours! Log all appointments and business discussions ensuring accuracy and proper follow-up. Automatically maintains a database that allows access to important calls by caller ID, date and time or by a unique index text identifier of your choosing.